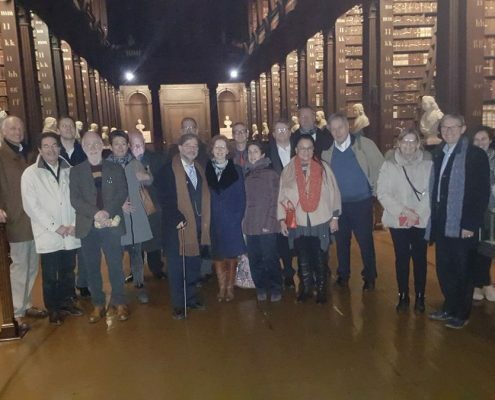 The Plasma Protein Users Platform (PLUS) and relevant stakeholders gathered for their Annual Consensus Meeting, held this year in Dublin, Ireland on January 11-12, 2018, to mark the 50th anniversary of the Irish Haemophilia Society. The meeting was attended by PLUS member organisations, associations representing the pharmaceutical industry, blood and plasma donor organisations and Marketing Research Bureau. The meeting was chaired by Dr Jacqueline Kerr from Paul Ehrlich Institute. The programme featured sessions on plasma-derived medicinal products (PDMP) supply developments and access. These sessions provided the background for the discussion on strategies to encourage blood and plasma donations in Europe. This year’s meeting was to form a basis for a more in-depth strategic discussion at the 2019 PLUS consensus conference. The meeting report will be shortly available on IPOPI website, in the ‘Our work’ section.